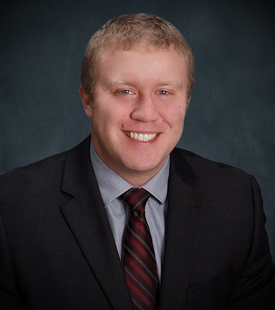 Benjamin Sand is an associate in the Bismarck Litigation department. Benjamin grew up in Fargo, North Dakota. He received a bachelor of arts degree in Political Science and English Literature from Concordia College in Moorhead, Minnesota in 2011. He was also a pitcher on the Concordia Cobbers baseball team. Benjamin graduated from the University of North Dakota School of Law in 2014. While in law school, Benjamin participated in two national moot court competitions and was inducted into the Order of the Barristers in recognition of his oral advocacy and brief writing skills. He also externed for the Honorable United States Circuit Court Judge Kermit Bye, interned at the Office of the Attorney General in North Dakota, and clerked for the Cass County State’s Attorney’s Office. After graduation, Benjamin completed a two-year clerkship for the Honorable United States District Court Judge Daniel Hovland from 2014 to 2016. In his free time, Benjamin enjoys playing amateur baseball and golfing in the summer, and curling in the winter. He is also an avid follower of NDSU Football and UND Hockey.